On Monday, January 2nd, 32-year-old Belizean Tour Guide, Henry Williams alleges he was stabbed by Melvin Montesino, after a dispute at a local night club. According to the report given to the San Pedro Police Department, Williams went to the night club around 2AM to socialize with his friends. After Williams paid his entrance fee and was searched by security, he proceeded to the bar area to get some drinks. Before he was served, he claims that he was approached by a slim built, tall, Hispanic male, with low-cut black hair, vomiting right in front of him. Upon seeing the male, Williams states he recognized him as Melvin Montesino. Montesino allegedly got closer to Williams, who claims he told him to move away because he was drunk and vomiting. Williams told police officials that when Montesino began to use profanity against him, he tried to calm him down. However, he claims that Montesino began threatening him, saying “You don’t know me, I will hurt you”. When Montesino approached Williams, Williams claims he was pushed away, and the two men began to brawl. Montesino allegedly stabbed Williams on the left side of his back and abdomen. The knife was retrieved at the nightclub, and Montesino was apprehended by San Pedro Police at the scene. Williams was then transported to the Karl Heusner Memorial Hospital for medical treatment. After appearing in court on Tuesday, January 3rd, Montesino was formally charged with ‘Grievous Harm’ and ‘Use of Deadly Means of Harm’. 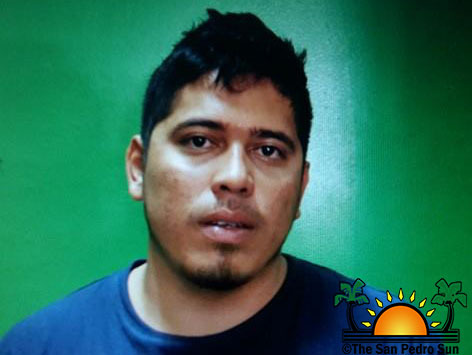 Since his arrest, Montesino pleaded "not guilty" before the San Pedro Magistrate Court and was offered bail at the sum of $5,000BZ. He is scheduled to re-appear in court on February 3rd, 2017.